Multi-purpose Wordpress theme developers have got their hands on a winning formula these days - add a massive full-width slider to the front page, add some colors, bring in some parallax scrolling and voila, you've created a theme that's very likely to be liked by the people. Today this formula has become so ubiquitous that almost all multi-purpose themes for Wordpress platform are created along its lines. And while they look beautiful more often than not, they put the serious business owners in a major conundrum: how to differentiate when every site uses themes designed along a similar formula? 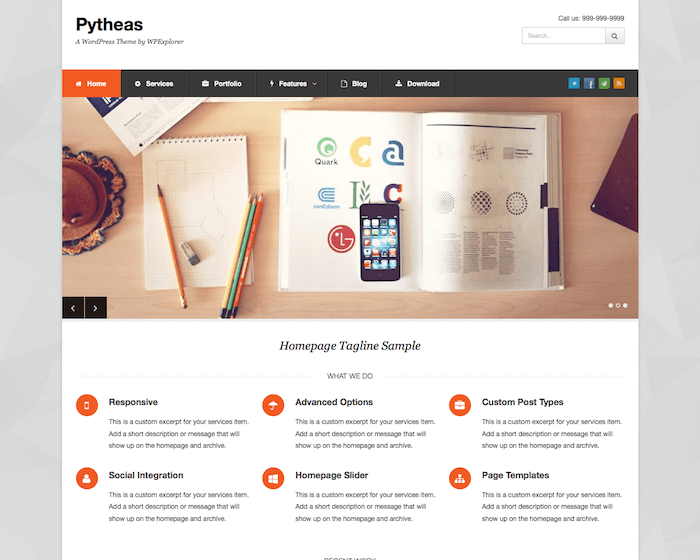 Fortunately, some theme developers step aside from that formula and develop unique-looking multi-purpose themes for Wordpress. Web-dorado is one of them, and the different theme it has created is called Web-dorado. In this review we'll learn about it. 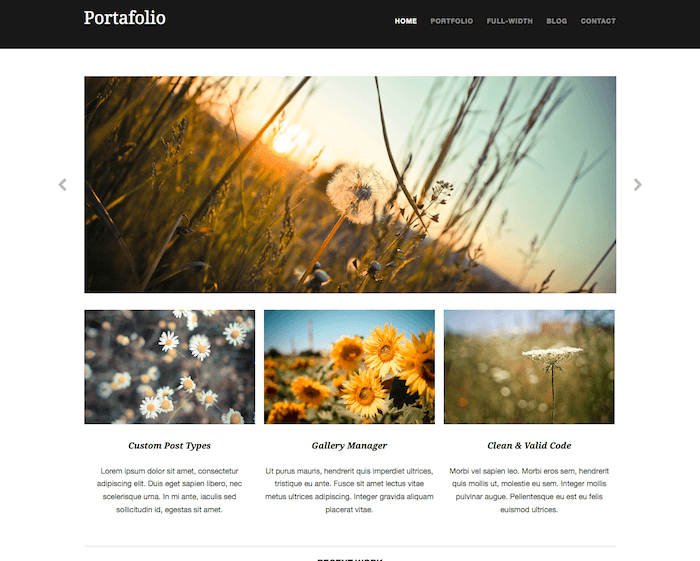 Full-Width Posts Grid: Unlike other themes that come with full-width front page sliders, Sauron has been designed with a full-width posts grid that shows up to 6 posts of your choice on the front page. This is a unique approach towards showcasing any content that you may want your visitors to view at first glance, and it really helps in separating your website from the crowd. Lightbox Slideshow: If you prefer slideshows over anything else, then Sauron has also built its functionality into theme. You can replace the posts grid with a full-width lightbox slideshow easily. Google Fonts: Your site can have beautiful typography very easily with Sauron, thanks to Google fonts functionality built into this theme. Major Plugins Supported: All popular Wordpress plugins are supported by this theme without any hassles on your part, so you won't have any trouble in using them. 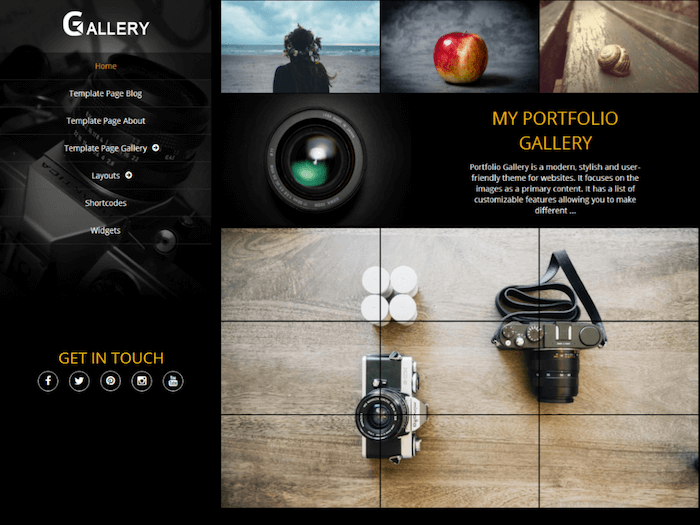 WPML, bbPress, Photo Gallery, Contact Form 7, Jetpack – all work with this theme. With all these features in its code it'll be safe to say that Sauron is a great multi-purpose theme. You can use it for creating a wide range of websites. Sauron is available as a free download to everyone. However, the free version allows only two slides in front page slider and updates are provided for bug fixes only. If you want support and unlimited slides, then you can opt for their cheapest Personal plan, which includes Web-dorado's professional support for 6 months on 1 domain. If you want support for up to 3 domains, you can opt for their Business plan instead. And finally there's also a Developer plan that provides 1 year support for unlimited domains. The cost of Personal, Business and Developer plans is $20, $30 and $40, respectively. 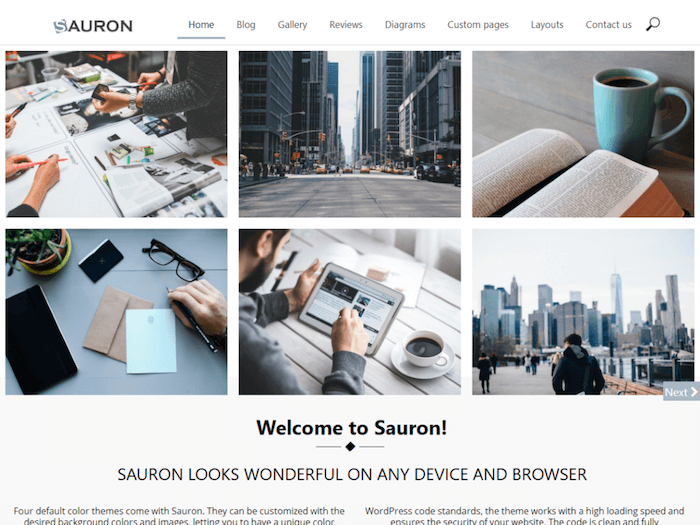 With its flat and minimalist yet highly organized and beautiful design, Sauron is unique in its own way among other multi-purpose Wordpress themes. You should give it a try if you like simple yet elegant web designs.